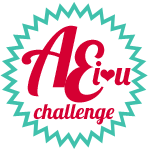 It’s time for the next AEI♥U Challenge, and we can’t wait for you to check it out!! Buh-BAM!! 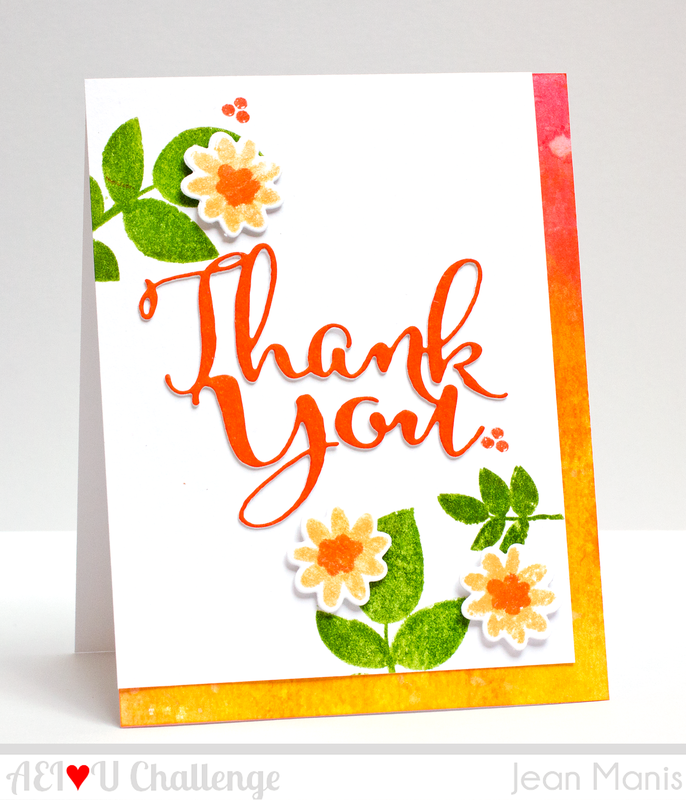 Watercolor is one of those trends that seems to be sticking around, and boy does that make us happy!! It’s one of those timeless trends that I think translates to all styles of design! Here’s how our amazing new challenge team interpreted the prompt (Lindsay was so inspired, she made two projects!)! Amazing, right?!! Okay, so now it’s your turn to create something!! We’d love for you to play along! Here are the rules and regulations! 7. You have until 12:01 AM (Pacific Time) on Sunday, April 26, 2015 to enter. TWO WINNERS and three runners up will be announced on Tuesday, April 30, 2015 at 6:00 AM (Pacific Time) on the Avery Elle Challenge Blog. THE TWO WINNERS WILL EACH BE AWARDED A $25 AVERY ELLE GIFT CERTIFICATE!! 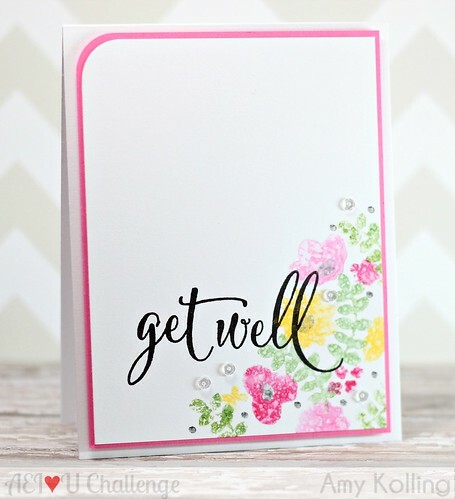 Can I please ask, are you allowed to use other stamps/dies from other companies along with your AE products for this challenge?? Thanks so much. Yes, Shona!! You are certainly allowed to use other non-AE products as long as you use at least one AE stamp or die!! I am your newest follower! I just got my first Avery Elle stamp sets yesterday and hope to play along in one of your challenges sometime soon. This one looks like so much fun but since there's only 6h left I think I'll wait for next time LOL. 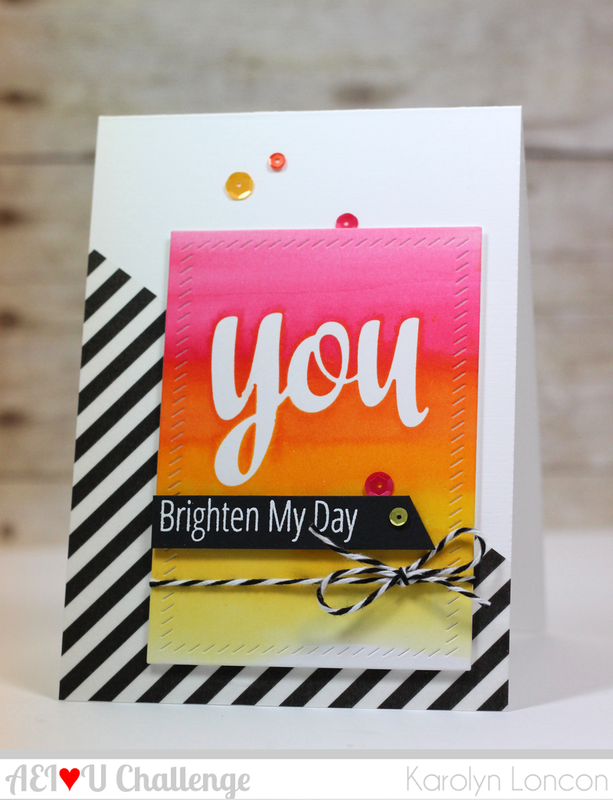 Your DT inspiration samples look amazing! Yay!! We're so excited that you found us, KT!! Looking forward to seeing your beautiful work in our gallery soon! !